Wednesday January 30, 2019-Chief Justice, David Maraga, has joined other Kenyans in condemning the Judiciary over how it is handling corruption cases. Speaking at the Supreme Court during the swearing in of 47 newly appointed magistrates, Maraga said Kenyans were unhappy with the manner in which some judges and magistrates were quick to grant requests for adjournment even when they were not justified. Maraga said he will form a team that will monitor how Judges and Magistrates handle corruption cases. “During the anti-corruption conference at Bomas of Kenya last week, we (Judiciary) were heavily and loudly criticised mainly for delays and corruption. 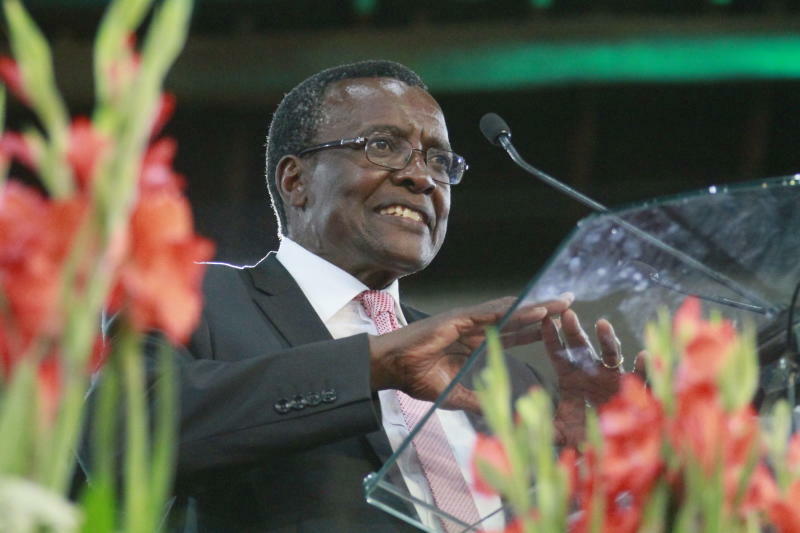 I urge you to take charge of your courtrooms,” Maraga said. “Adjournment of cases on frivolous grounds is the very reason we have a case backlog in our system. We are actually going to keenly watch your management of cases in court,” said Maraga. Maraga also called on all judges and magistrates to adhere to the code of conduct. “We are reviewing the Judicial Code of Conduct and Ethics which awaiting Parliament’s approval. But you should adhere to the current one,” Maraga said. The CJ said the code demands independence, impartiality, professionalism and objectivity in the discharge of duties by all judicial officers.